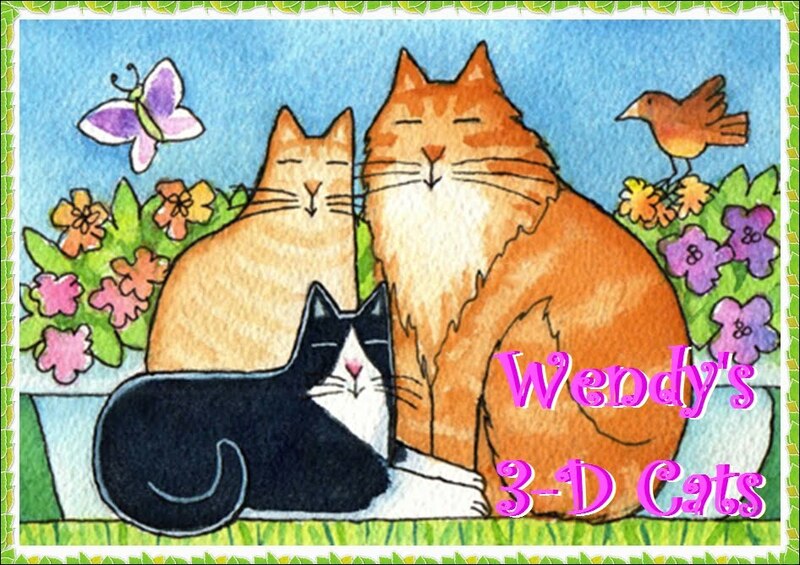 Wendy's 3-D Cats: A VALENTINE'S DAY OF OLYMPIC PURRPORTIONS! 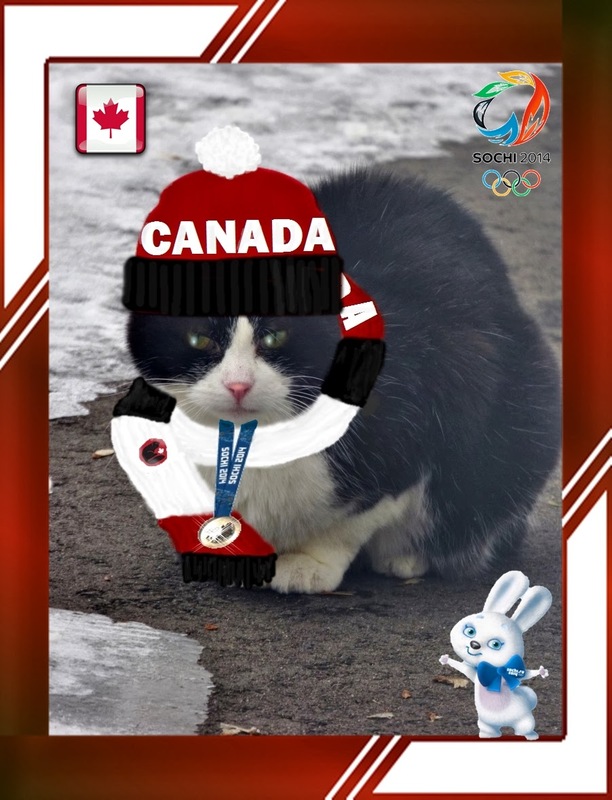 We are thrilled to announce that Domino has won a SILVER MEDAL in Ladycat Figure Skating at the Sochi Winter Olympics! It was a very close call between the gold and the silver. Of course, Domino thought she deserved the gold, but the judging didn't go her way. It really doesn't matter, though, because silver is a fantastic accomplishment. Domino has made Milo, me, and her country very PURRoud! 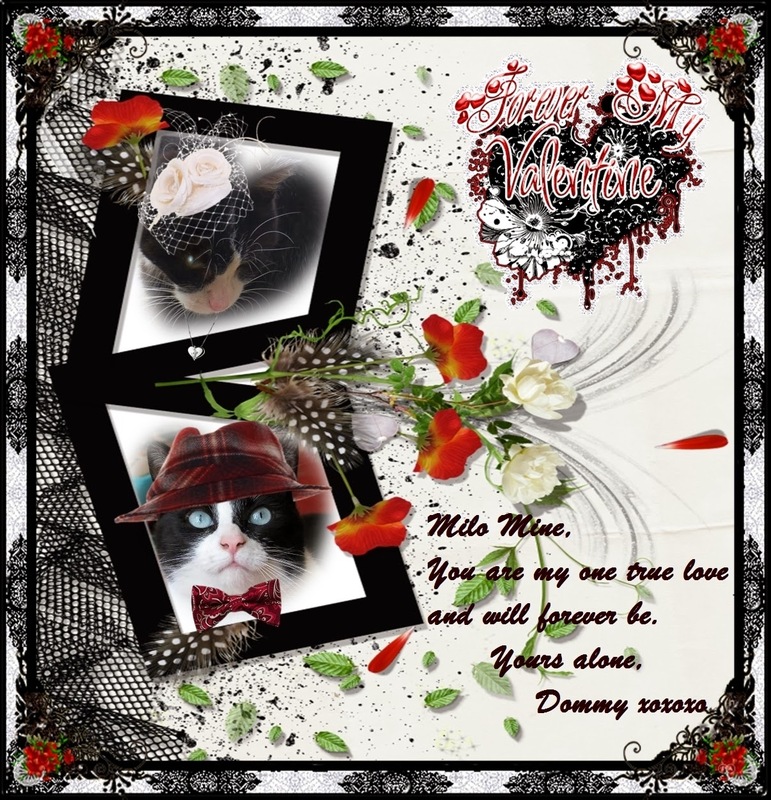 Domino's longtime love, Milo, was there to support her at every turn (so to speak). 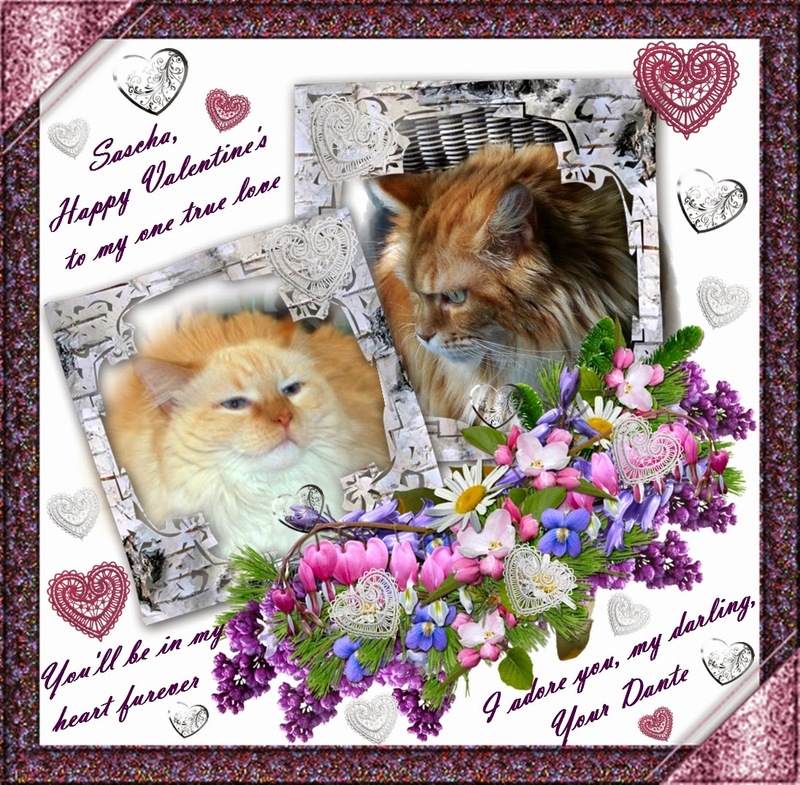 She has given him this very special Valentine today to thank him. How romantic! The look in their eyes says it all. Milo has given Domino her second silver medal of the day. 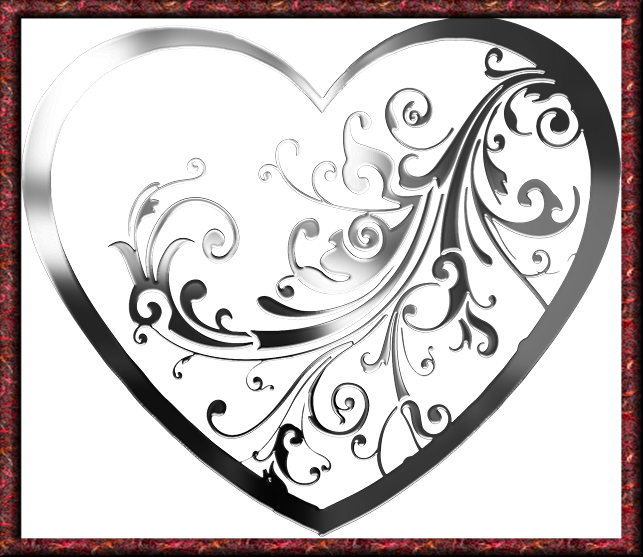 It is a beautiful silver heart with a skate etched in the middle. 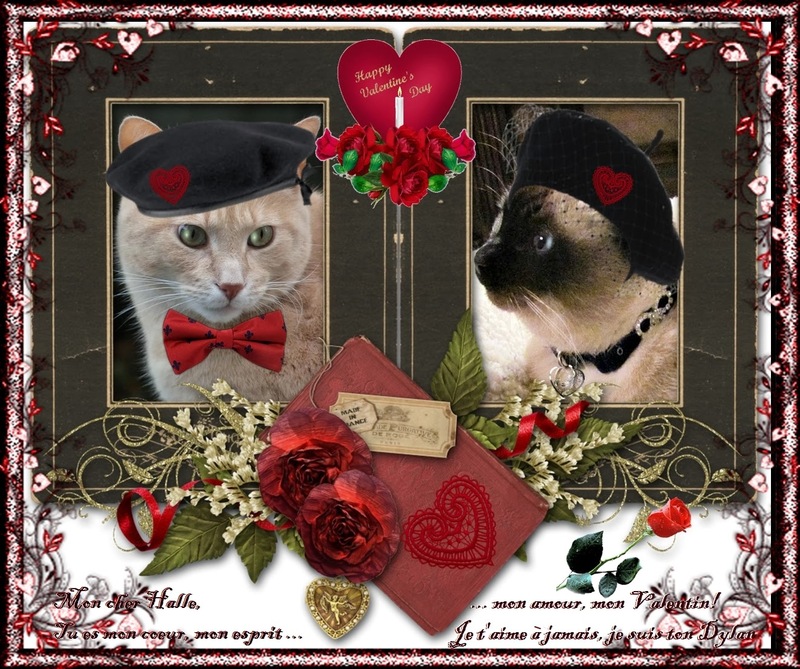 Like their love for one another, it has been given very special treatment and will never tarnish. 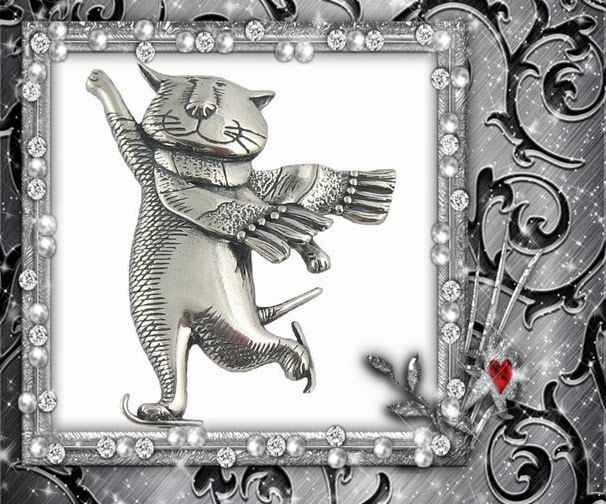 It seems that silver is a winner after all, especially when it comes to love! Though Dylan's Olympic hopes didn't come to fruition, his romantic ones certainly have! From Sochi, Dylan and Halle flew to their favourite city in the world -- Paris, France. Dylan is whisPURRing sweet somethings in Halle's ear -- in French, of course. Being Canadian he is well-versed in the language of love. 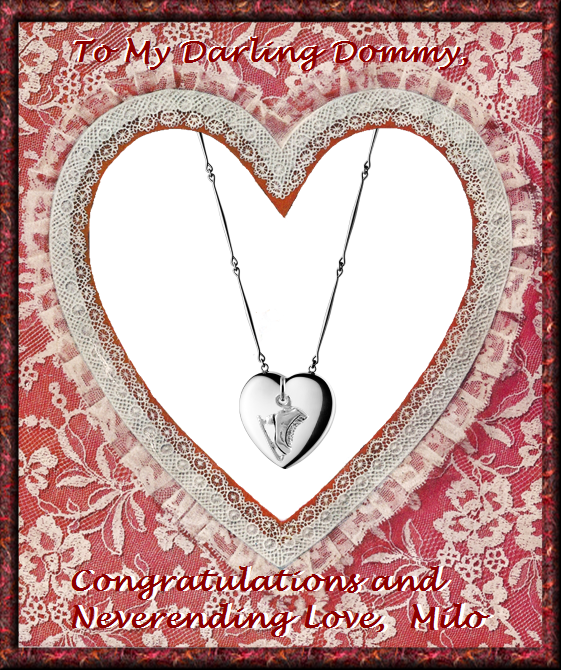 Dylan has given Halle a gorgeous silver filigree heart charm to attach to her engagement collar. Halle thinks Dylan is charming enough already, but was ecstatic with the gift he had chosen for her. 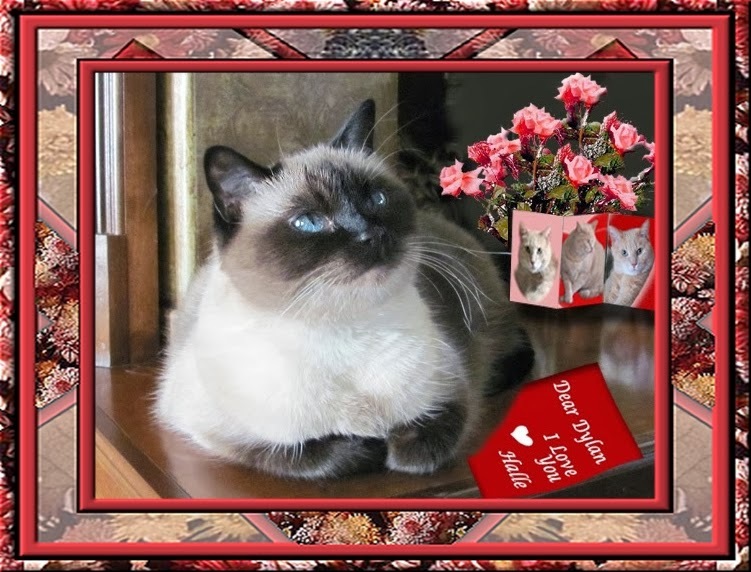 And Halle made a very special Valentine for Dylan. She is saving her gift to him for later tonight. Let's just say it has something to do with the Eiffel Tower! Dante's heart is filled with love for his fiance Sascha on this, and every other, day. Sascha is extremely proud of Dante's Olympic accomplishment. 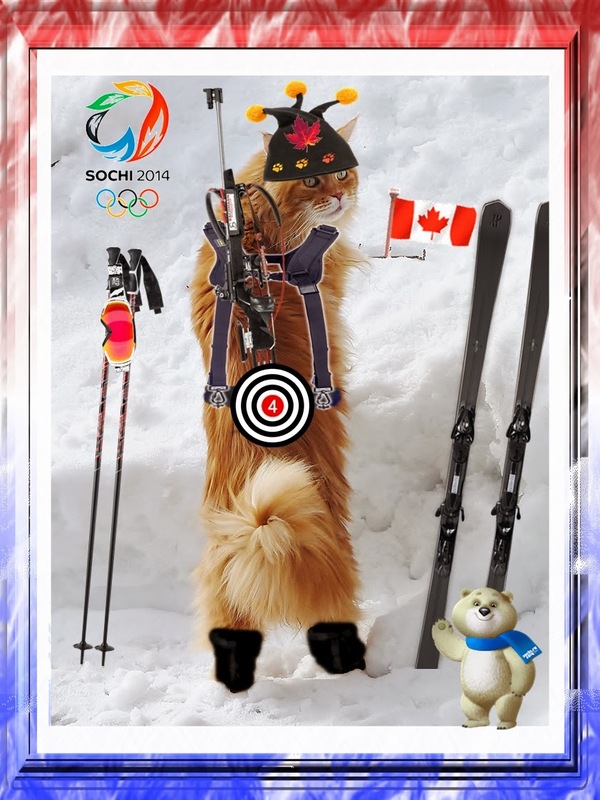 Although he just missed making the podium, his Olympic standing was none other than speCATular! Fourth in the BiCAThlon is more than a respectable outcome. 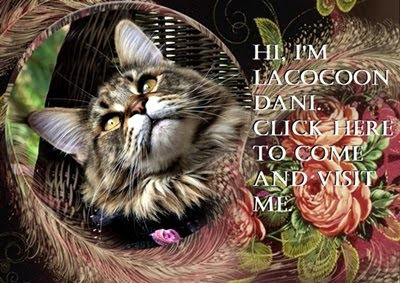 To read more about Dante and Sascha's Russian Valentine's Day, just go to "All About Lacocoon Dante".